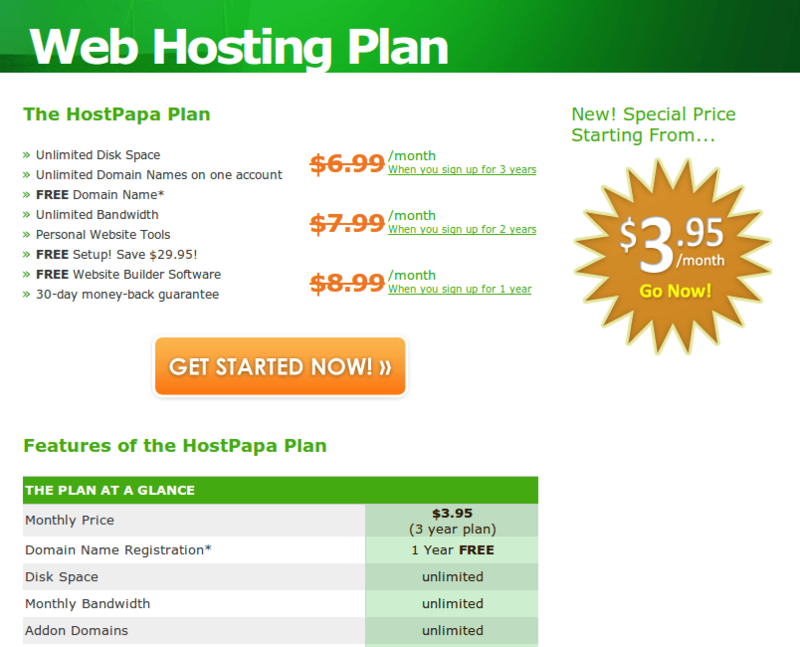 You are here: Home / hosting plans / About HostPapa web hosting. Services offer : Shared hosting & reseller hosting. Current Offer : $3.95/month when you commit 3 years. 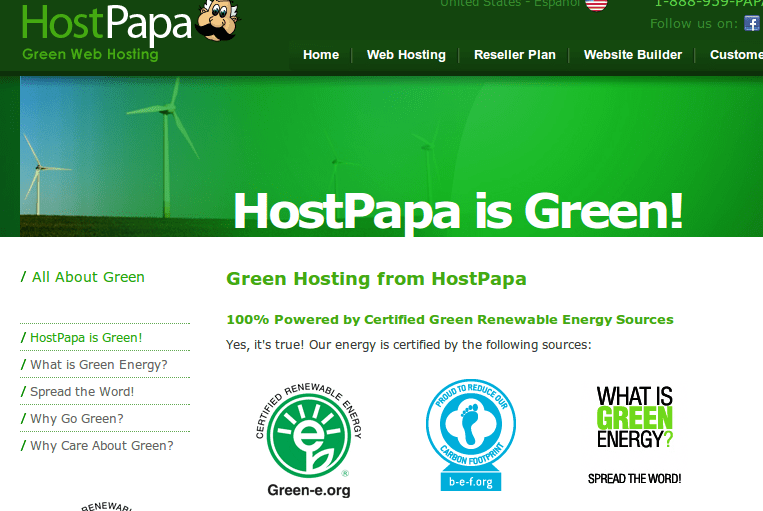 HostPapa has taken the initiative of going green by purchasing 100% green renewable energy to power our data centers, web servers, office computers, laptops and office space. These energy sources supply HostPapa’s entire equivalent energy consumption into the power-grid with certified 100% renewable green energy sources, such as wind and solar-powered energy. 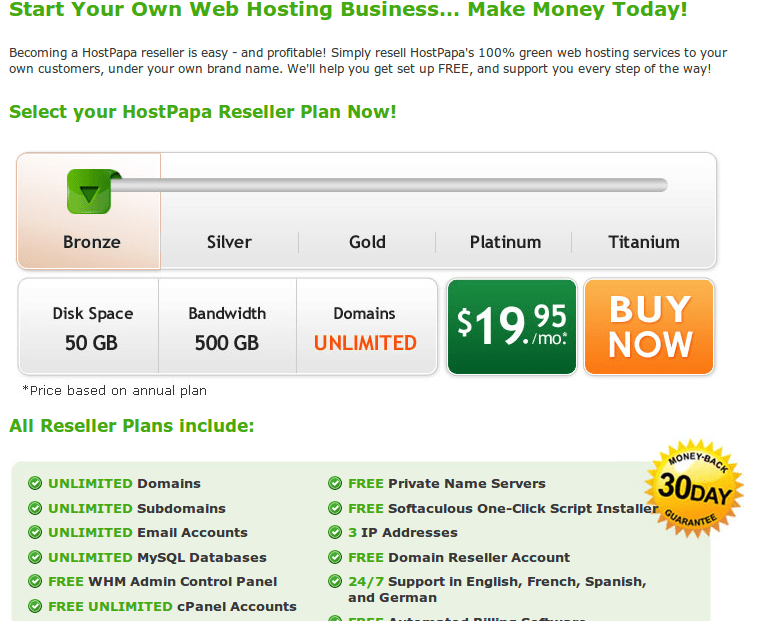 Reseller plan allows user to create smaller web hosting account and sell to their customer. This is particularly suitable for web designers to package a design + hosting all at once. 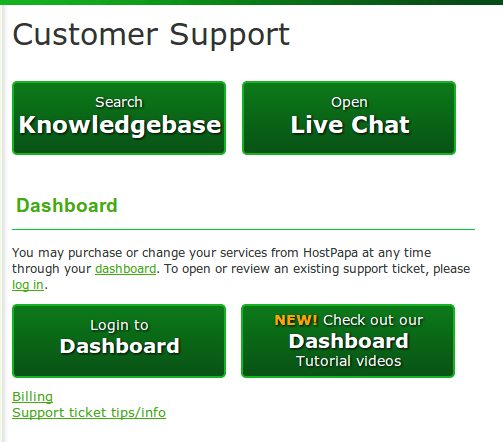 Customer service is vital, See what are the options available to customers.